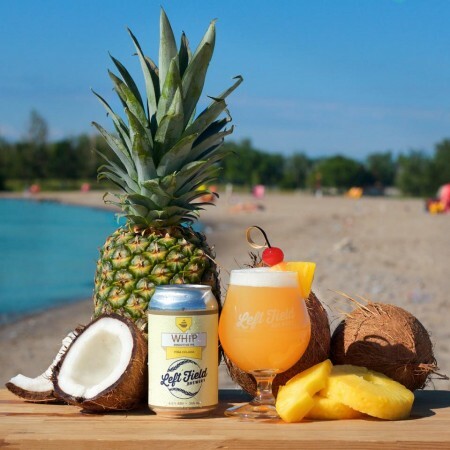 TORONTO, ON – Left Field Brewery has announced the release of the latest in its series of exotic fruit flavoured milkshake IPAs. Named for one of baseball’s nerdier stats, WHIP Smoothie IPA is anything but boring. This full-bodied IPA is bold and packed with flavour. Generous additions of pineapple and coconut create a tangy, juicy blend, balanced with creamy lactose, vanilla, and Amarillo and Zythos. The Piña Colada version of WHIP is available starting today in the Left Field taproom and online shop.